Mark is a Partner and Head of Litigation. A Solicitor at Clapham & Collinge undertaking all forms of dispute work and litigation. 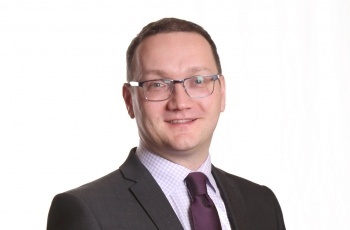 Mark qualified in 2004 and went on to specialise in contentious insolvency work and tax fraud litigation. He offers expert and sensible clear guidance on commercial disputes, debt recovery, property litigation and insolvency. As well as Mark's litigation practice he also advises businesses and individuals on a variety of employment issues, including but not limited to unfair dismissal advice, Employment Tribunal representation, redundancy advice and advice in relation to employment contracts. Due to Mark's wide degree of specialisms, he continues to provide a pragmatic and straightforward approach to resolving complex Employment matters. Legal 500 Recommended Lawyer 2014: ''Great tactician Mark Kermez"
The Legal 500 United Kingdom 2017's guide to outstanding lawyers nationwide recommend Mark Kermez for practice areas Commercial litigation, Debt recovery, Property litigation and Employment. "refreshingly friendly, and communicates in an effective and practical way". "He pursued a £250,000 debt for a regional IP"
"I saw Mark Kermez, I would like to thank him for his professional attitude towards my case. If I ever need a solicitor again I would use or recommend your services."